Hi, folks. 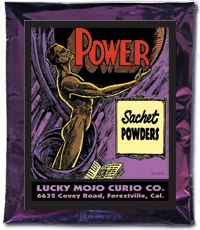 The December 2013 Lucky Mojo Newsletter features POWER products and offers a 20% discount coupon on all Power spiritual supplies. Here's your second chance to try some Power -- this time, for FREE! Today we are hosting a random drawing with FIVE winners. 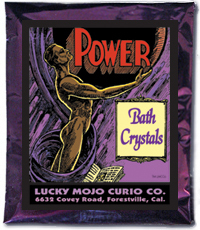 Each one will receive a set of all 3 Lucky Mojo Power packs -- a packet of Power Bath Crystals, a packet of Power Incense Powders and a packet of Power Sachet Powders. to the Facebook Fridays! status message for December 20, 2013. At the end of the day, we will select 5 winners at random, announce their names here, contact them via Facebook to get their mailing addresses, and send them their FREE Power products. We have more than 100 entries on board already -- and you have until Saturday morning at 9:00 AM to enter! We have a winner! In fact, we have FIVE lucky winners! Our Facebook Fridays Giveaway winners for December 20, 2013 are: Sonia Medeiros, Richie Williams, Megan Alexandria, Ozma Stasinski and Denise Dupree.